Seeds Of Death – Full Movie March Against Monsanto Special! Gary Null releases his movie “Seeds Of Death” for free viewing for a limited time in honor of the march on May 25. 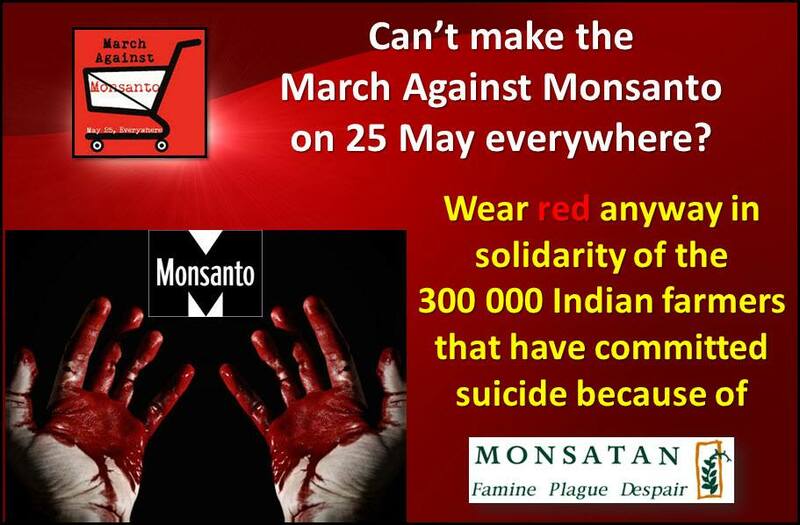 March Against Monsanto Special! Gary Null releases his movie “Seeds Of Death” for free viewing for a limited time in honor of the march on May 25. Reblogged this on count down to zero-time. One of the things I find equally appalling is that human excrement has fertilized the White House garden ever since the Clintons were in residence. The organic certification processes strictly prohibit the use of sludge as a fertilizer substitute. It ensures that Michelle’s garden will never attain organic status.”According to tests conducted by the National Park Service, the dirt beneath Michelle’s garden indicates highly elevated levels of lead averaging 93 parts per million (ppm). The EPA recommends not growing food in soil that has 100 ppm. The worms that ruined Michelle’s garden, planted in 2009, come with the names Bill and Hillary. Frightening, depressing evidence of the dangers of GMOs. Is the dramatic increase of children born with autism related?? Why aren’t regulatory agencies protecting us?? ?